Written by Bryan Logan -- In the US, we get new music on Tuesdays. France and the United Kingdom get theirs on Monday. It's Friday in Germany. Starting this summer, all new album and single releases will drop on the same day, worldwide. That's the result of discussions that have gone on for months at the International Federation of the Phonographic Industry (IFPI). The change was officially announced Feb. 26. The IFPI is a Switzerland-based nonprofit that oversees the music industry, representing 1,300 record labels in 63 markets across 57 countries. The origin of the old, incremental music-release day is fairly simple in the US. NPR explained in 2010 that the Tuesday release gave music distributors time to "shuttle stock out to stores over the weekend and on Mondays." Even though the change applies to all forms of music (digital and otherwise), it seems to be somewhat divorced from the concept of shipping physical merchandise, since few people buy CDs anymore. By doing this, the industry expects to cut the risk of piracy. With less time between when you can download your favorite artist's new album in the US and when people elsewhere can do the same, there's also less time for songs to end up in places where they can be shared illegally. The IFPI says the global release date would also "benefit artists who want to harness social media to promote their new music." Some industry execs are, unsurprisingly, less worried about those points and more concerned about how the change will affect profit margins. Kim Bayley with the Entertainment Retailers Association told Billboard in October, "The only justification for a Friday release date would be if it resulted in a net increase in sales." Billboard counterpointed that with this: "Sales weren't central to the IFPI's justifications for the move, though combating piracy could be considered the same thing." Fans of Beyoncé might remember December 2013, when she released a new album, "Beyoncé," unannounced on iTunes. No marketing or promotion was done beforehand. The album quickly grabbed the No. 1 spot on the Billboard 200 and sold nearly 830,000 digital copies in its first three days. It became iTunes' fastest-selling record, ever. It's interesting to note the album was released at midnight on a Friday, so those hundreds of thousands of copies were sold through the weekend, before the CDs were made available in stores. In fact, the physical album was held back until a week later, which upset some major brick-and-mortar retailers. 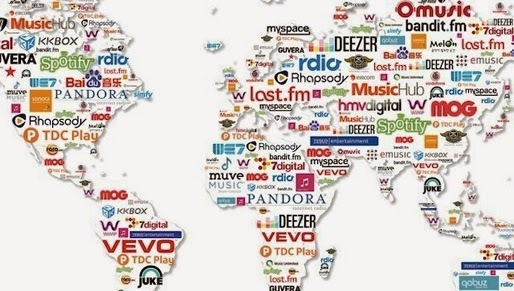 By aligning the worldwide music ecosystem to one designated day for new releases, the recording industry at large is taking steps to streamline global distribution, while also helping artists use the power of social and digital to bridge the divide between their fans, near and far.